Grips serve a couple purposes when it comes to mountain biking. They provide shock absorption as well as improving handlebar grip. 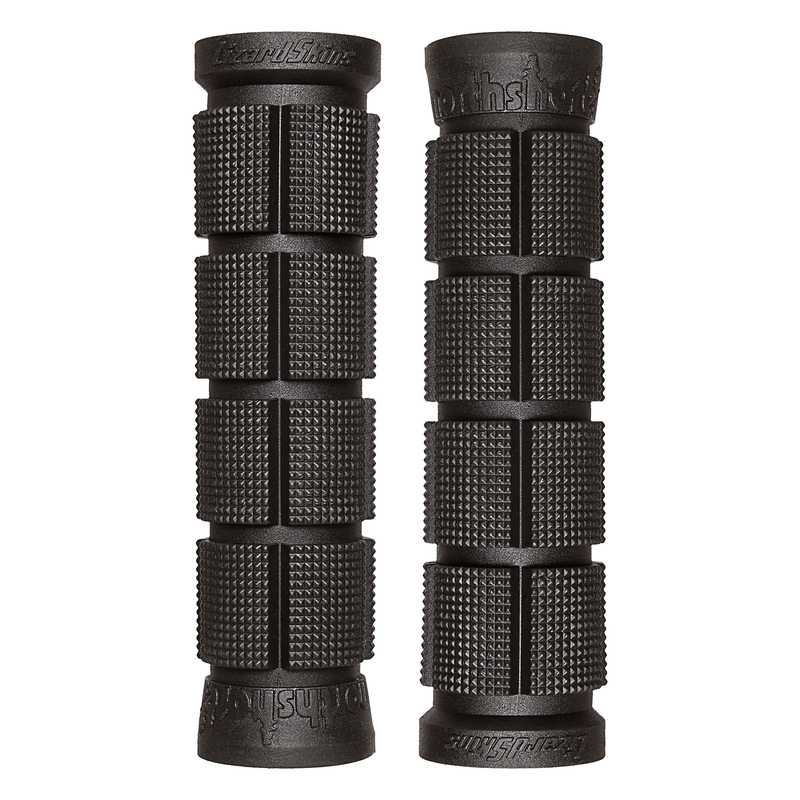 The Lizard Skins Northshore Grips are the thickest single compound grip that Lizard Skins has to offer. They feature a series of textured shock-absorbing sections to provide a comfortable and controlled ride. The grips include push-in plugs. If you're looking for a comfortable grip for all your mountain biking needs, then you'll love the Lizard Skins Northshore Grips.